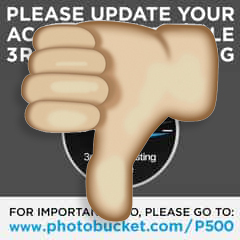 Blogging Photography Ranting PhotoBucket Go Kick Your Own Bucket! By now, tens of thousands if not millions of bloggers who have naively relied (I'm one of those idiots) on Photobucket to help us "safe keep" of photos have received their bombshells some time ago when they visit their blog(s) and voila...they see their beautiful photos have morphed into unbelievable money-sucking messages which read, "PLEASE UPDATE YOUR ACCOUNT TO ENABLE 3RD PARTY HOSTING". Sounds pretty OK...until you see how much you need to fork out to "update" your account...which is US$400. So Photobucket is taking our photos as "prisoners" and we need to pay the required US$400 to bail them out? 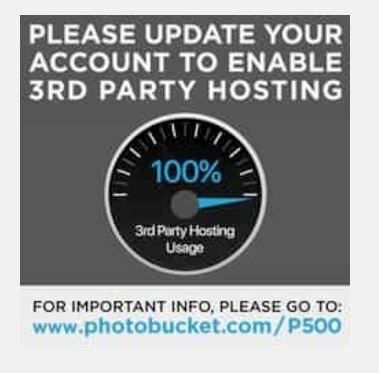 Awesome move Photobucket. Just AWESOME! The thing is...we did not get any warning at all! Well...not the obvious ones of course. Photobucket had the cheek to claim that they did send out numerous COVERT messages or emails months before taking our photos as hostages. 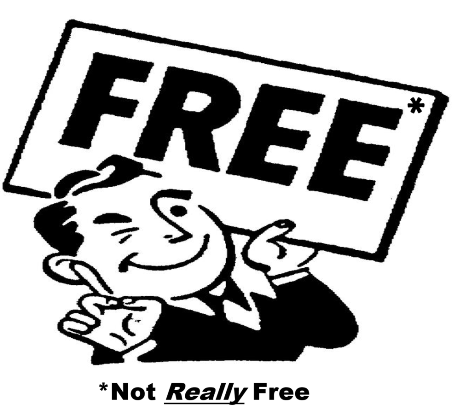 Well I do agree that nothing is free...but we should have been given more time to migrate our photos and not a total shutdown which snug our photos behind an exorbitant "PAY-WALL"! I have written 1546 posts....and how THE HECK am I suppose to reupload those photos and re-link this and that...blah~blah~blah (sorry for being gibberish)! All in all I am pissed...but the onus is on me I guess. Like what Anna Tims claimed in her post-Photobucket Shock Hosting Fee Is Holding Web Users to Ransom, we have to really think twice or thrice before committing our life's work to a FREE hosting service. 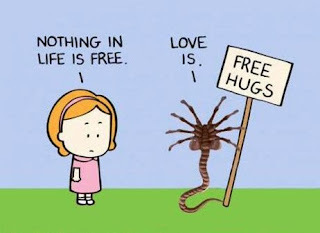 The think is...I did pay...but not for the price those Succubus are demanding at Photobucket. Curse you...you evil company. I am sure you are going to kick your own bucket soon. Period.